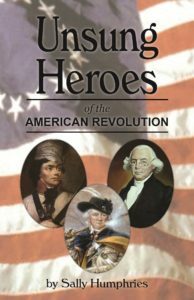 I started this book in Massachusetts in 1973 with the question: How did thirteen disjointed colonies form a new nation when they were held captive by the all-powerful British empire? And aside from Washington, Adams, Franklin, and Jefferson, who stepped up as the supporting cast? Where did they come from? What kind of determination and courage did it take to win against such incredible odds? I found the stories of over twenty of this heroic supporting cast in bits and pieces in hundreds of places. 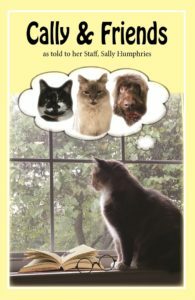 This book is my attempt to put those stories in one concise book for the benefit of my family and friends. Unsung Heroes is available at Amazon. Remember to order through AmazonSmile to donate to the WIndmore Foundation for the Arts. Click one of the buttons to download a copy of the Seussical, Jr. Costume Size INFO Form. Make sure to complete the form and take it to your audition. Click the button to download a copy of the Windmore Seusical, Jr. Audition Packet. Make sure to complete the information and take it to your audition. MUSICAL THEATRE SUMMER CAMP REGISTRATION OPEN! Windmore Foundation for the Arts is bringing to life the most exciting, fantastical presentation of Seussical, Jr. at the Musical Theatre Summer Camp in partnership with Verdun Adventure Bound in Rixeyville, VA. Children 5 to 17 years old will have an exciting format of theatre experiences. Seussical, Jr., a musical by Lynn Ahrens and Stephen Flaherty, is based on the children’s stories of Dr. Seuss. Ahrens and Flaherty have brought to life all of the favorite characters including Horton the Elephant, Gertrude McFuzz, Lazy Mayzie and all of the Whos in Whoville! The score is a “Seussian Gumbo” of musical styles. You’ll find your toes tapping, your fingers snapping and your imagination running wild. Campers will learn all aspects of theatre including auditioning, acting, singing, dancing, choreography, set design, props making, and performing in a full production. YOUNGER CAMPERS, age 5 to 7 will have a one-week theatre and adventure camp. Camp will be Mon. through Fri. June 10-14, from 9:00 AM to 3:00 PM. In the morning, they will learn about theatre through fun games & art and music activities based on Dr. Seuss books. No auditions are necessary. They will be assigned parts during camp. In the afternoon (Noon to 3PM), they will have adventure bound activities with the Verdun staff. OLDER CAMPERS, age 8 to 17 will have a two-week theatre & one half-day adventure camp on June 1 from 12 PM to 4 PM. Camp will be Mon. to Fri. June 3-7 and June 10-14 from 9:00 AM to 3:00 PM. They will learn about musical theatre production while performing Seussical, Jr. They will participate in theatre production, music, and art activities. After registering, campers will be notified of audition dates. Download the Windmore Seussical, Jr. Audition Packet and the Seussical, Jr. Costume Size INFO form. Complete the audition packet and the costume size form to take to the audition. A Read Through will be Saturday, June 1, from 9:00 AM to 11 AM. Campers need to pack a lunch and wear clothes appropriate for outdoor activities. Campers will participate in a Team Building Adventure from 12:00 PM to 4:00 PM. Verdun staff will focus on communication skills, teamwork and building rapport as a cast. Campers need to be available all day for the two performances. 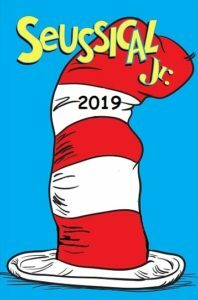 Seussical, Jr. will be performed on Saturday, June 15, at 11:00 AM and 6:00 PM at the Ann Sheridan Amphitheatre at Verdun Adventure Bound for all campers. The rain date is Sunday, June 16, 2019, at 11:00 AM and 6:00 PM. Performance Tickets will be available online in May. Seussical, Jr. is presented through special arrangement with Music Theater International and directed by local Mary Kidd Flemming. Mary Kidd Flemming, works as the choral director and teacher at Floyd T. Binns Middle School. For Windmore, Mary has directed the summer camp and youth productions of Peter Pan, Jr. and Mary Poppins, Jr. held at Verdun Adventure Bound in the Anne Marie Sheridan Amphitheatre in Rixeyville. Previously, Mary served as a producer for Pied Piper Children’s Theatre in Manassas. She has also served previously as Coordinator of Youth Ministry and Children’s Choir Director at Precious Blood Catholic Church. Mary has directed plays, variety shows, showcases, choral concerts, and competitions, but her favorite genre is the musical. She first became involved with Windmore Children’s Theatre in 2002 as a volunteer and later as a producer. Mary and her husband John have been married for 28 years, sharing their love of music and theatre with their six children. YOUNGER CAMPERS: $220 per youth Registration limited to 20 campers. OLDER CAMPERS: $395 per youth Registration limited to 25 campers. Cancellation fees: The sole refund is half of the cost of summer camp is refundable if notification is received in writing by Windmore 60 days prior to the start of camp. Space is limited. Registrations will be processed in the order they are received. Click links below to register and download Verdun’s Liability Form. Questions? Email SummerCamp@windmorefoundation.org or call 540-547-4333. 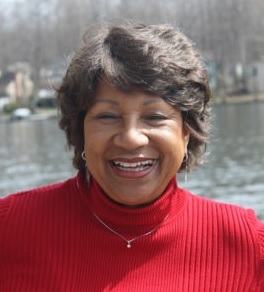 Lois Powell loves writing all types of stories but especially children’s stories. Four of her poems were published by The International Poetry Society in their poetry anthologies. She has also written articles for local newspapers. 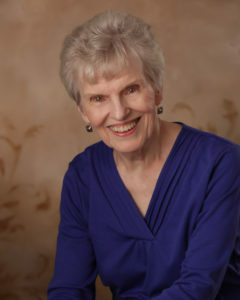 Lois is a member of the Windmore Foundation for the Arts, The Professional Writers Alliance, and Society of Children’s Book Writers and Illustrators. 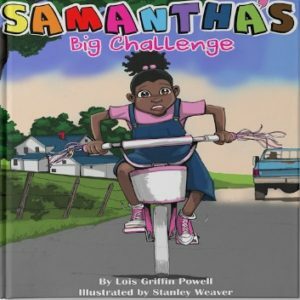 Lois Powell’s most recent children’s book, illustrated by Stanley Weaver, is Samantha’s Big Challenge. This book is written for children between 3 and 8 years old. It is about encouraging children to keep their promises, even if they are afraid. Samantha has an important mission. Will she be able to get the help her Grandma needs before it’s too late? 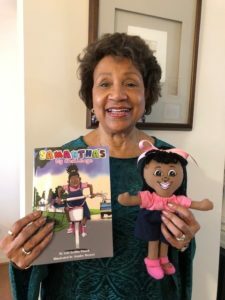 Lois Powell’s also produced a Samantha doll. Lucie Russo will be facilitating a monthly meeting of writers who want to learn about new publishing information. 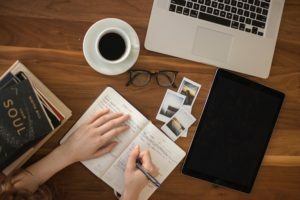 The group will also share helpful information about resources or social media sites, offer editing tips, list resources to check out and places to post their works. All meetings are in the conference room at the Culpeper County Library. The evening meetings are the second Monday of every month from 5PM to 7PM and the morning meetings are on the second Tuesday of every month from 10AM to Noon. All are welcome to attend. For more information call 540-547-4333.